Hello guys! So here’s another favorite menu that you’ve been waiting for, winning brand new devices! Yes. 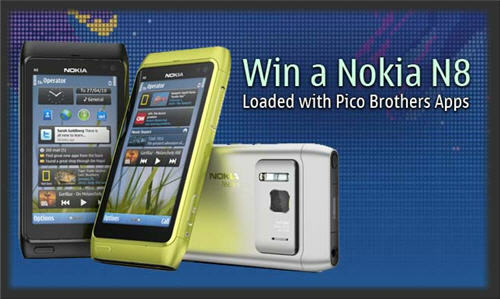 Pico Brothers is giving away a brand new Nokia N8 loaded with bunch of Pico Brothers Apps! How cool, eh? Plus another one is to win a new Nokia X6 from Vlingo! So two ways to win these brand new Nokia devices. Are you ready to WIN brand new Nokia handsets?! Excited to win the Nokia X6 or X3? How about Nokia 5228 or 5233? Or do you like to get your hands on the unannounced Nokia 5250? 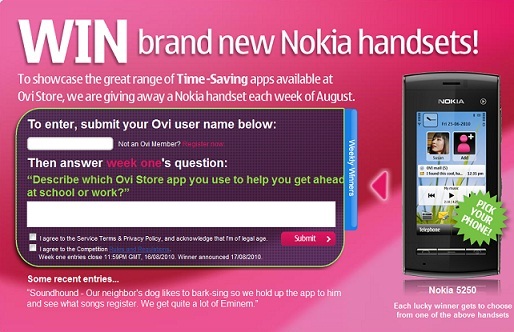 Then get ready to fasten your seat belt as Ovi is giving away brand new Nokia devices! And each week of August to October is just a brand new opportunity to own these devices. If we got Nokia Comes with Music feature on our devices, it’s for sure that we have an unlimited (varies) music downloads from the music store. Well, Ovi Music is quite different. 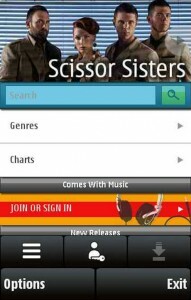 It’s a kind of music app bundled with new features. Now you can buy each individual tracks that you love. You will find cool stuffs of Ovi Music below and it was tested on Nokia X6. Like on the Ovi Music Inspire me. I’m not sure if what are the exact devices it can support. But it seems we will have a wide lists of Ovi Music for your phone (S60v5 or Symbian^1) not sure with others.